Bolt and Gasket Packages. IN STOCK. Lightning Bolt & Supply is your one-stop source for Project Bolt & Gasket Packages. We can competitively bid ALL of the fasteners and gaskets required to complete a project. 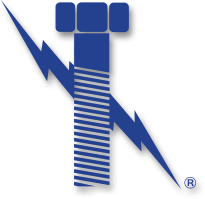 Regardless if it’s fixing a flange or building a plant, Lightning Bolt & Supply is financially and physically capable of handling your projects bolt and gasket needs. Most people would consider the most popular standard for industrial projects to be ASTM A193 fasteners such as B7 studs, B7 hex bolts, B8 studs, B8M studs, and B16 studs. We also have one of the largest inventories of “teflon blue” PTFE fasteners. Click here for more information regarding ASTM A-193 requirements or to view our ASME B16-5 Flange bolting chart. No matter the spec, our experts will provide you with the “perfect order”. Why Lightning Bolt for Bolt and Gasket Packages?